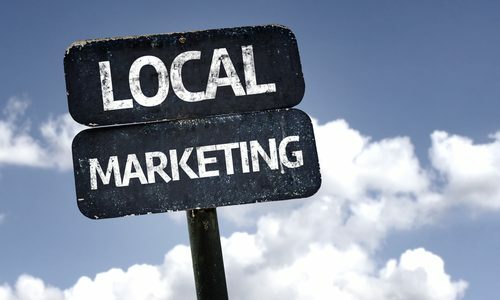 Local marketing for a small business can seem a bit daunting. The key is to understand that traditional methods should be mixed with online marketing. By using these marketing methods, it is possible to generate enough new business to hire more staff to help. 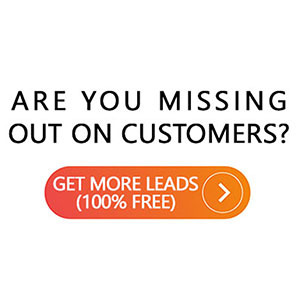 Many of the marketing tasks can be effectively outsourced through the various online freelance-workers systems for very cost-effective prices. Join local chapters of business associations, such as the Rotary Club, Optimist Club, Better Business Bureau, and Chamber of Commerce. Make the effort to attend events and meetings. You will be able to network with people from your local community face-to-face. This is good for any business. Attending these meetings gives you a needed break from constantly being at your business. Attend and perhaps sponsor community events. Hold special events at your business. Use online group discount systems to sell coupons to bring in new customers. This is a low-cost method to target areas that are in the close proximity to your business. Create and distribute a large, colorful, 8 x 5 inches postcard. Make sure it has a very attractive offer on it. It is more cost-effective to pay for hand-delivery than to pay for postage. Have those delivering the postcards put them in the mailbox. Many people use mobile devices to find local businesses. Design the business website to appear properly on mobile devices. Make sure your website(s) are optimized for search engines using SEO methods. A URL is another name for a website address. Long-tail URLs contain the type of business or keyword in them and the location. An example would be www.plumbing______.com. In the blank area, put the name of the local neighborhoods that are served by the business. Register as many of these long-tail URLs that you can afford. 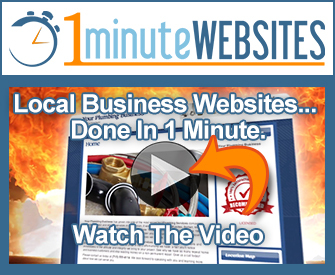 Your website will appear near the top of the search listings, for searches of your type of local business. When web visitors go to a long-tail URL they should be automatically redirected to your main website. Graphics that are created for the business should be able to be used across all media platforms. Have a graphic artist design things like your logo and so forth using a vector drawing program. Vector drawings appear crystal clear no matter what size they are displayed. Do not duplicate text and use the same text on more than one website. If you do this, the website will be penalized by the search engines for having duplicate content. That will lower your search rankings. Use content marketing for email campaigns, not spam. Content marketing gives a customer or potential customer something that is useful to read. Register the location of your business on Google maps. This service shows the businesses in the local areas. Check review sites for what customers say about your business. Ask existing customers to give a review and post the positive ones. If there are any negative reviews, deal with them in a positive way. If you can afford online advertising, identify your target market. Use programmatic ad buying systems to help with the efficiency of the ad placements. Track all activity so that you can measure the results to learn what is the most effective for your business. The rule of thumb is that 80% of the revenues for the business come from 20% of the customers. Identify the 20% and target them. Use incentive reward programs to encourage repeat business. If you take action on these marketing efforts, you should be able to see a direct benefit. Most benefits show up as a positive trend for the business within the first few months of their implementation.